Whether you've been a devoted Twihard or made fun of all the Edward-swooning people lining up for tickets, you have to acknowledge that the success of the Twilight saga has been a major boon for authors of young adult novels, with similarly supernatural or sci-fi stories getting snapped up for their own movie adaptations. Between Harry Potter, Twilight and The Hunger Games, movies based on novels for young adults are about as big as it gets in movies these days, and every Hollywood studio is working hard to make their own franchise that's just as big a hit. No matter how you feel about sparkly vampires, there's something in literature aimed at young adults for everyone, and there's at least one movie coming up that will fit your taste. So with The Twilight Saga: Breaking Dawn Part 2 closing out the mega-series, we're looking ahead to 10 more movies and the books that inspired them. Pick up any of these titles and be ahead of the game when the next big thing hits Hollywood. 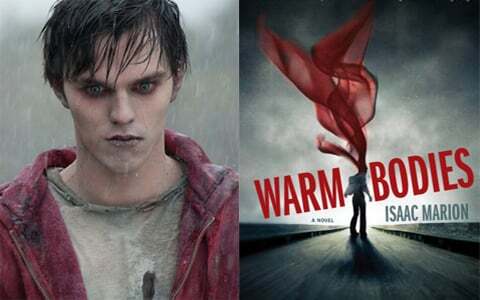 WHAT IT’S ABOUT: Warm Bodies follows R, a zombie living with other zombies at an airport in a post-apocalyptic world where people are in hiding (or become food). When R encounters a living girl named Julie during a routine hunt, he decides to protect her rather than eat her, and so begins the start of an unlikely romance. The plot sounds a little ridiculous, but it really isn’t Twilight with zombies. Marion approaches the story with humor, easing us into R's mindset and building up to the character's slow awakening as he begins to fall for Julie, and she for him. It's less a romance as it is the story of two people who find each other at just the right time in their lives (or in R's case, his un-death), and their growing connection could be the start of something huge for humanity, which is on its last legs. THE MOVIE VERSION: Jonathan Levine, who previously made the coming-of-age film The Wackness and the dramedy 50/50, shot the film late last year, with Nicholas Hoult starring as R and Teresa Palmer as Julie. Recent glimpses at the trailer and the poster-- both of which you can check out here-- reveal that the movie has held onto the book’s dark sense of humor. Warm Bodies is set for release February 1, 2013. 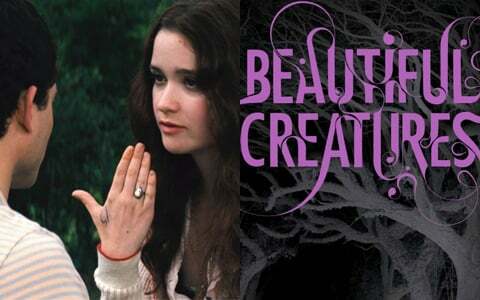 WHAT IT’S ABOUT: Set in the fictional town of Gatlin, South Carolina, Beautiful Creatures is the first book in Garcia and Stohl's Caster Chronicles series and follows Ethan and Lena, two teenagers who soon learn that their family histories are intertwined and connected with their town. The fantasy element is brought in, in part, with Lena, a young "Caster" who has supernatural powers and is waiting for her sixteenth birthday when she'll be claimed either by Light or Dark. The story is told from the point of view of Ethan, which allows us to be introduced to this strange and sometimes dark world through his eyes as he gets to know Lena and comes to understand the connection they share. In that way, we’re eased into the supernatural/fantasy side of the story as we come to understand what Casters are what Lena’s calling means for her and Ethan. THE MOVIE VERSION: It went into production earlier this year, with Alden Ehrenreich playing Ethan and Alice Englert playing Lena. They’re backed up by some more familiar names in the cast, including Emma Thompson, Viola Davis and Jeremy Irons. Richard LaGravanese is directing, and it’s set for release February 15, 2013. You can learn even more about it here. WHAT IT’S ABOUT: Written by Stephenie Meyer, The Host isn't Twilight with aliens. 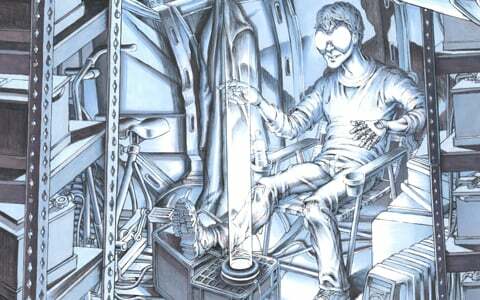 The story is told from the perspective of Wanderer, an alien "Soul" among a population of body-snatching aliens who have arrived on earth and nearly successfully inhabited the entire human planet. A small human resistance exists and Melanie Stryder was among them before she was captured and inhabited by Wanderer. Melanie should have disappeared when Wanderer took over, but much to Wanderer's dismay, the old occupant of her body still lingers and the two soon form a bond that leads Wanderer to seek out Melanie's friends and family. The story looks at humanity from a slightly outside perspective, and while it's not exactly heavy sci-fi, nor is it heavily romantic. The Host is a little bit sci-fi, a little bit romance and a little bit survival story, all of which amounts to an interesting story that could make for a great movie if they get it right. 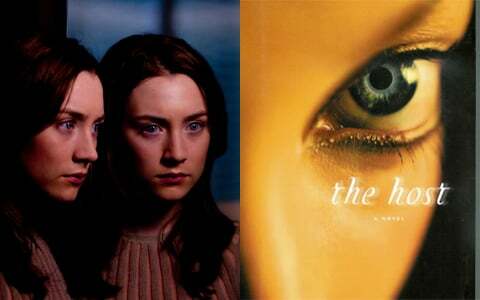 THE MOVIE VERSION: The new trailer emerged online just a few days ago, and the fact that the extremely talented Saoirse Ronan is playing the double-role of Wanderer and Melanie seems to really be giving the movie a boost. It’s directed by Andrew Niccol, who crafted expansive sci-fi worlds in Gattaca and In Time, and author Stephenie Meyer is throwing her full support behind it. The Host comes to theaters March 29, 2013, and you can click here to learn much more about it. WHAT IT’S ABOUT: The first in Cassandra Clare's Mortal Instruments series, City of Bones introduces us to Clary Fray, a teenager living in Brooklyn who learns she's a Shadowhunter and the descendent of a line of demon hunters. She's soon brought into the dark and dangerous underworld of demons and those like herself who exist to rid the world of these threats. Clare builds a rich world around the novel's protagonist, taking extra time to detail the demons, weapons, runes and rules of this world, which should appeal to those who appreciate the fantasy genre and want a vivid picture painted as they follow Clary's story. And its modern-day setting serves to ground the story a bit in our reality, as Clary attempts to acclimate to her new calling and meets other characters in this world, including Jace, her potential love interest. THE MOVIE VERSION: We actually just got our first look at Lily Collins in character as Clary Fray in this image, which came accompanied by an interview with author Cassandra Clare. Collins, who starred in Mirror, Mirror earlier this year, is joined by Game of Thrones star Lena Headey, Mad Men’s Jared Harris, and more in the cast. 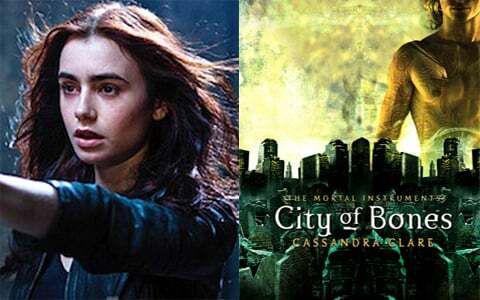 Mortal Instruments: City of Bones is set for release August 23, 2013. 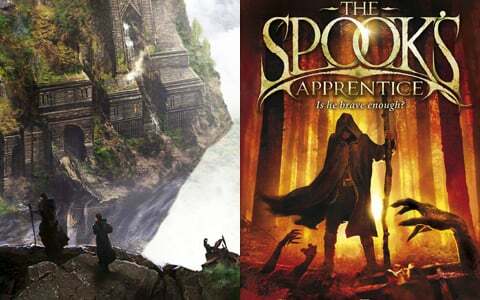 WHAT IT’S ABOUT: Known in the U.S. as The Last Apprentice: Revenge of the Witch, this is the first in a series of fantasy novels and follows Thomas Ward, a 13-year-old boy from the English countryside who's the seventh son of a seventh son, which allows him to see things other people can't. His father gets him an apprenticeship with the county Spook, whose job it is to rid the villages of evil - boggarts, ghosts, witches and other dark forces. And so begins the start of what could be young Tom's calling. This one's not to be confused with Orson Scott Card's The Seventh Son, which shares the name of the title given to the feature adaptation of Delaney's novel. Those who like the first book may be happy to learn that there are several sequels to the first book. THE MOVIE VERSION: Despite the title change, Seventh Son seems to be a pretty faithful adaptation of the book, with Chronicles of Narnia star Ben Barnes playing the apprentice (OK, so he’s a little older than 13, so maybe it’s not so faithful). Jeff Bridges plays the Spook, with Julianne Moore, Game of Thrones’s Kit Harington, and Anna Karenina’s Alicia Vikander rounding out the cast. The Sergey Bodrov-directed film is set for release October 18, 2013. WHAT IT’S ABOUT: Set in the future when man is preparing for a war with an alien race referred to as Buggers, children are recruited to train in a space-set school where they learn and play games to prepare for battle. The story follows Ender Wiggin, an exceptional boy who's something of an underdog at the start but soon finds his place at the school, using strategy and sharp tactical and observational skills to rise in the ranks among the other kids. Those who don't consider themselves sci-fi fans should still consider giving Ender's Game a look. It's a fairly easy read that doesn't delve so far into science fiction that newbies to the genre won't be able to follow it. Much of the story focuses on young Ender's mindset as he observes, strategizes and tries to make the right choices, which isn't always easy as he's about as compassionate as he is logical. 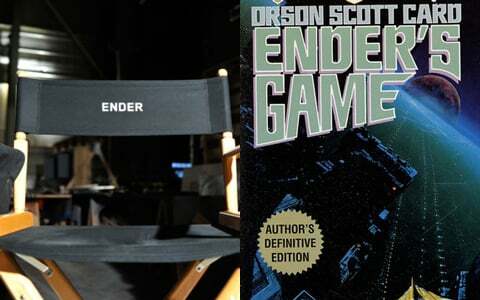 THE MOVIE VERSION: Hollywood has tried for years to make a movie version of Ender’s Game, but Summit Entertainment-- the studio behind Twilight-- has finally succeeded, with director Gavin Hood shooting the adaptation in New Orleans last year. Asa Butterfield, who played the title character in Martin Scorsese’s Hugo, stars as Ender, and he’s backed up by adult stars like Harrison Ford and Viola Davis as well as young actors Abigail Breslin and Hailee Steinfeld. Ender’s Game will arrive in theaters November 1, 2013. WHAT IT’S ABOUT: The second novel in Suzanne Collins' Hunger Games series revisits the world of Panem and follows Katniss Everdeen and her fellow tribute Peeta Mellark after their victory in the arena. The Quarter Quell is approaching and with it, a special edition of Panem's "Hunger Games," a fight-to-the-death battle that brings two young tributes from each district of the nation together to battle it out in a last man standing “game.” The 75th Hunger Games are an All-Star event, featuring two past winners from each district, who are brought back into the arena to fight and try to survive once again. Katniss and Peeta have had their eyes opened by their first experience with the games, but in Catching Fire, they're going up against more seasoned tributes and a whole new arena. There's also the matter of the budding rebellion in the districts, which poses a threat to the oppressive government. Those who liked the first book should appreciate what Collins has done with the sequel, which revisits the Games but also carries the story of Katniss and Peeta further as they attempt to make it through another Hunger Games in one piece. THE MOVIE VERSION: Currently filming in Atlanta, Catching Fire is set for release November 22, 2013, and given that it’s the sequel to a massively successful film, you can expect a big budget and what ought to be a very faithful adaptation. And if you’re worried about getting into the series only to never see it completed onscreen, don’t worry-- the final book in the trilogy, Mockingjay, already has a director and screenwriter attached to adapt. 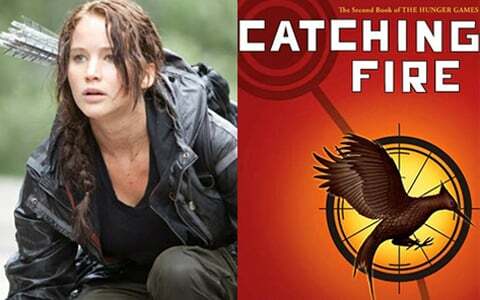 You can learn even more about Catching Fire here. WHAT IT’S ABOUT: Horns follows Ig, a young man who wakes up at the site of his girlfriend's murder a year after it took place, only to discover that, in addition to a bad hangover, he has horns growing out of his head. He soon learns that with his new horns comes the ability to draw people's darkest secrets and desires from them, whether he wants to hear them or not. As Ig tries to make sense of the horns and their effect on people, he also flashes back through his life from when he first met his girlfriend Merrin, to the years leading up to her murder, which many people believe he's responsible for. Horns doesn't really qualify as "young adult" in genre, but it does feature young adults and it's a great read with a movie on the way. The story is well organized and perfectly paced, blending a dark, supernatural twist with a mystery that builds and unfolds steadily as the story progresses. It's surprisingly emotional at times and altogether satisfying in the end. 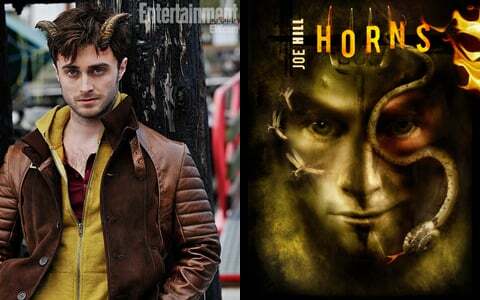 THE MOVIE VERSION: Going from one very notable feature on his forehead to another, Harry Potter star Daniel Radcliffe is swapping Harry’s lightning bolt scar for Ig’s horns to star in this adaptation, which is directed by The Hills Have Eyes helmer Alexandre Aja. The first photo of Radcliffe in character emerged online last month, but there’s no release date set for now. 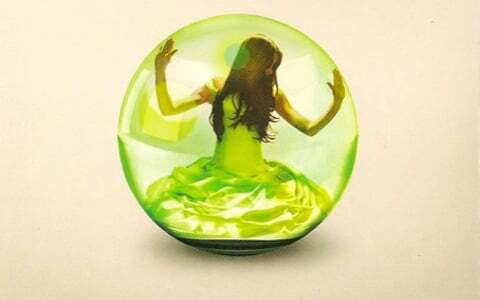 The first of a trilogy, Ally Condie's Matched is set in a futuristic, seemingly utopian world where the government uses a precise system to match everyone with their ideal mate when they turn eighteen. The story centers on Cassia, a young girl who is matched with her best friend, which she's initially happy about. But when a glitch in the system reveals the possibility that she might have been partnered with another boy, Cassia begins to question her fate. It isn't just the matching system that Cassia begins to question, but the nature of the way their world is governed and whether or not things are really as peaceful and perfect as it seems. The romance and the writing is on the tame side, but the first book in the trilogy slowly builds momentum as we explore this world through Cassia's eyes, which are really just beginning to open as she comes to see some of the reality that’s been hidden from her. THE MOVIE VERSION: David Slade, who made The Twilight Saga: Eclipse, was hired in September to direct the movie adaptation of Matched, though the script is still in development, with Sherlock Holmes: A Game of Shadows writer Kiernan Mulroney adapting it. WHAT IT’S ABOUT: Set in the future during a bad recession, Ready Player One follows Wade Watts, a kid from a poor neighborhood who spends as much time as possible in the OASIS, a massive online simulation game that takes virtual reality to the next level. The OASIS creator James Halliday died and left behind an easter egg which promises the finder his entire inheritance. Many have searched the OASIS in the hopes of finding the three hidden keys, but years have passed and no one has made it onto the scoreboard. Ready Player One could be described as a futuristic Willy Wonka story where the chocolate factory is a massive virtual universe full of 80s geek pop culture references (thanks to Halliday's preference for the decade). Wade is the Charlie Bucket of the story, an underdog who knows everything about Halliday and who believes he has what it takes to find the coveted keys. The story is intense and exciting and altogether the best kind of geeky fun (particularly if you grew up in the 80s). THE MOVIE VERSION: Way back in 2010, when the book was just a manuscript and hadn’t earned legions of fans, plans were in place to turn Ready Player One into the next Avatar (of course, at the time, everyone wanted to turn everything into the next Avatar). We haven’t heard anything about those plans since, but given the book’s popularity, we can still hope the adaptation is coming eventually.